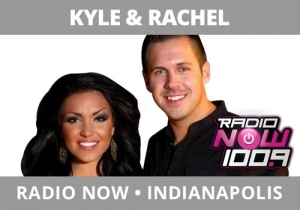 We are in the process of defining our new morning show Kyle and Rachel, Radio Now, Indianapolis. So, there’s a healthy emphasis on this team revealing their lives in ways that the audience can see themselves. Recently, in an on-air conversation about going back to school, Kyle decided to have on one of this childhood teachers to tell stories about him. This does the trick because it adds dimension into the break around the telling of a story.